Have you ever bought six tomatoes and found that you only really need four of them? Ever cooked two pounds of rice and only really needed one pound of it? This actually happens at our house fairly often. We’ll make a recipe and find that our kids hate it, so they only eat a little and we have a lot left over. Or we’ll follow a recipe that “serves six” but actually produces enough food to feed a small army. These situations mean that you’re stuck with fresh vegetables, rice, beans, or other staples that could certainly be used in a recipe, but to do so would completely throw off your meal plan and leave something else on the countertop for too long. Don’t throw those extras away. And don’t just shove them into the back of the fridge, either, because that’ll just eventually result in throwing them away. Instead, freeze them and use them at a later date. 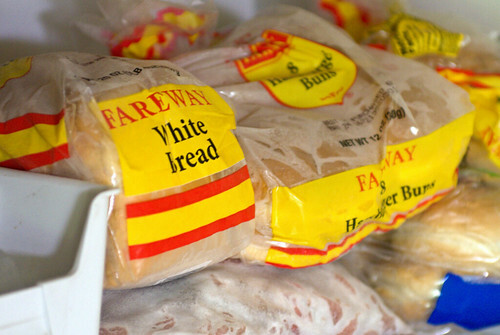 Almost any extra ingredient that you have on hand can be frozen and used in the future. The trick is simply knowing how to freeze the item without damaging it. For a one-stop shop, She Knows offers a great collection of tactics for freezing various fresh items. This will handle most of the things you commonly want to freeze. For rice, I just put about two cups of cooked rice into a quart-sized freezer bag. I expel all of the extra air and flatten the bag for easy stacking. When I want to re-use it, I put a tablespoon of water along with the contents of the bag into a microwave-safe bowl, cover it with a plate, and microwave it for about 30 seconds. Stir it and it works great! For us, the big key is to remember what you’ve frozen. It’s easy to forget what things you’ve frozen and tossed in the freezer if you do it regularly. Our solution is to label. I usually use masking tape for labels so that I can just peel it off the bag and then reuse the bag for another frozen item after cleaning it. Another good tactic is to keep a list on the front of your freezer detailing all of the frozen items that you’ll find in there, which can help a lot when planning meals and preparing a grocery list. Whenever you throw away a staple food, you’re throwing away money. If it’s easy to put that staple food right into the freezer and then pull it out at a later date for a recipe, there’s no reason not to do it.